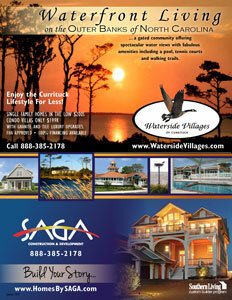 A magazine ad design for SAGA Construction to advertise their new community development called Waterside Villages. We also designed the Waterside Villages logo. 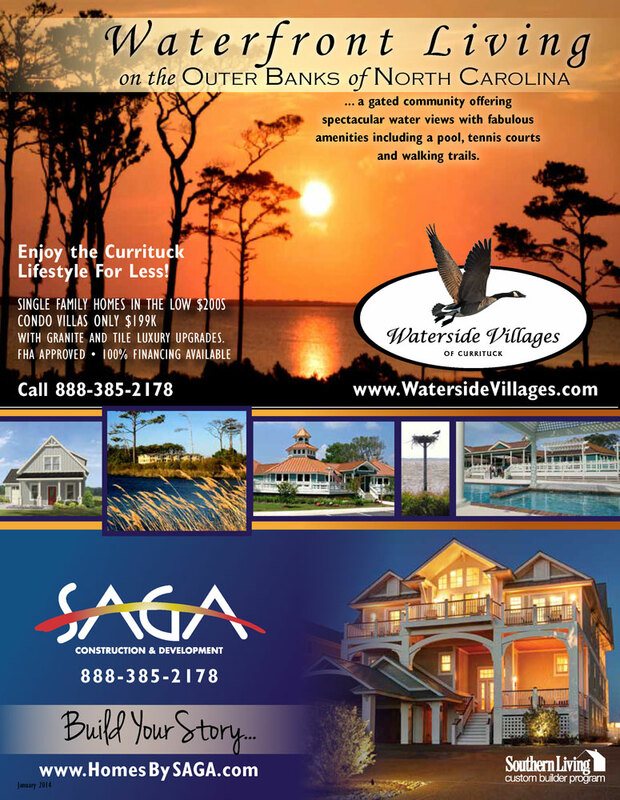 The ad is a bit of a joint ad which features the Waterside Villages ad at the top and the SAGA Construction ad at the bottom. This ad appeared in the Southern Living magazine and promotes a beautiful and luxurious lifestyle on the Outer Banks of North Carolina.